When I was younger I use to play Minesweeper for Windows a lot. In the 4.th and 5.th grade I would play this game again again trying to beat my best times. So it goes without saying that I’m definitely a huge fan of the original. However, I always found one thing extremely frustrating. No matter how good and fast you got, there was always a huge element of luck connected to completing a level. You could make all the right moves, but at some point you had to guess a bomb position, and if you guessed wrong you would lose the entire game. I knew from the start that I would change this in my own version. In my final version the game should not end until the entire level has been revealed. Hitting a bomb does not end the game, but will have a negative impact on your final score. This the leads to other design choices such as should the game still focus on time or on some kind of scoring? And how to balance the amount of punishment for hitting a bomb so that the player still tries her/his best not to hit a bomb but at the same time don’t just restart the game when a bomb is hit? In addition to thing of gameplay specific changes I also started working on a new overall theme. Several years ago I read this article on how genetically engineered could potentially be used to detect landmines. This gave me the overall idea of a Minesweeper type of game where you plant special plants to uncover where to bombs in the game are located. I then began searching for more information and found this other article based on research from MIT on something similar. In this research nano particles are introduced into the plants so they can be used to detect explosives. The researchers calls this “plant nano bionics”. And thus I came up with Bionic Carrots. 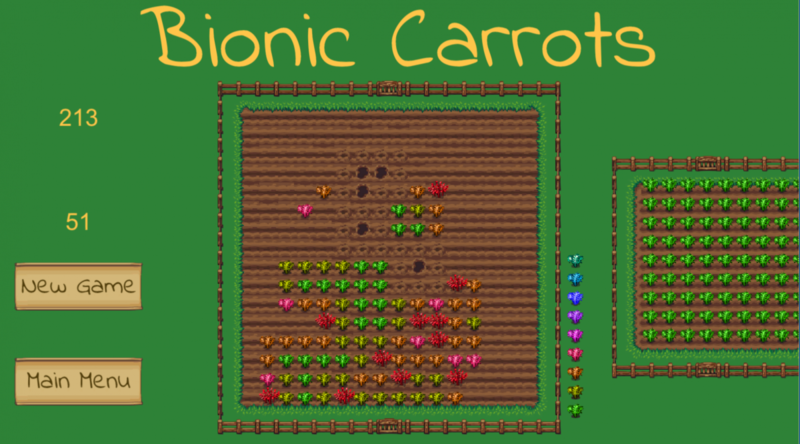 A Minesweeper type where you plant bionic carrots which change color according to the number of bombs around them. Having chosen an overall theme for the game will also influence other design choices. On example is how to enable flagging as in the original game. Should this even be possible? How could this be represented if not by a flag? And if we use a new kind of plant as flags, wouldn’t it make sense for them to change color if they are placed accurately on a bomb? Now that step three is done it is time for step four. This step is about polishing the game and making it ready for release. I’ve already started this step by finding sprites and fonts for the game. The sprites are based on LPC spritesheets found at OpenGameArt.org and the font I’m currently using is Indie Flower found at Google Fonts. 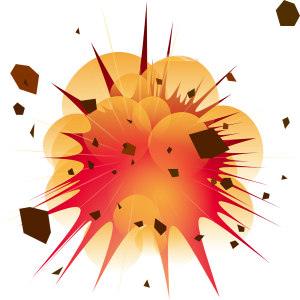 Next on my agenda is sound effects, music, balancing score/time, cursor sprite, animation and visualization of bomb explosion and wrong/right placement of special flag-plant. And finally I’m also working on setting up a page for the game on Itch.io. You can play the current version of the game below.